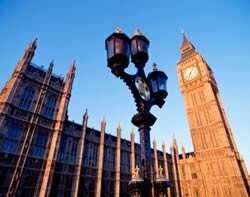 Government will have to redouble its efforts if it is to achieve its target of 25% of SME public sector procurements by 2015, the prime minister’s enterprise adviser David Young has warned. In the Growing Your Business report, Young praised the “extraordinary value” IT SMEs were providing the government through the G-Cloud programme, citing a recent Home Office hosting and server procurement that saw a 90% reduction in cost from £73,000 to £7,000, by awarding the contract to an SME provider. But Young added: “Despite the extraordinary savings small suppliers like these are offering, I am not convinced that the value of SMEs is being fully exploited across the whole public sector. He said small suppliers – particularly in the area of IT – were often put at a disadvantage when contracting authorities stipulate existing security clearance as a prerequisite for recruiting a contractor. "I am pleased that new guidance has been issued to all departments that makes it clear that pre-security clearance should not be made a condition of a procurement unless there are exceptional circumstances," he said. Rob Downes, spokesman for the Forum of Private Business said: “We can’t knock the current government now that it’s come round to this way of thinking, but it’s going to take a long time for them to realise their ambitions of 25% market share for SMEs, the worst we can say is that their targets were unrealistic to start with." In the report, Young outlined cheap and easy access to "enabling technology" as a key reason for people to start their own business, a report from the prime minister's enterprise adviser Lord Young has urged. “At a very simple level, small ‘cottage’ businesses are forming in people’s homes using low-cost trading platforms like eBay, free social media marketing tools like Facebook and payment mechanisms such as PayPal," he said. We would agree with the sentiments of this article, especially with regard to quick access to affordable enabling technology. As mentioned above, a pragmatic approach is required with regard to security clearance pre-contract. The pan-government security accreditation process is actually fairly straight-forward and most SMEs should be able to achieve at least IL2 if required. As a SME, we were able to achieve IL2 at a reasonable cost only a month after Microsoft which effectively levels the playing field for public sector cloud collaboration business. Since our recent press announcement (see below) we have received an increase level of interest so the investment in improving our security credentials was certainly worthwhile.